Cosplay may seem like a recent invention, but the ancient Greeks and Romans weren’t above dressing up like their favorite heroes. The Greek hero Heracles (better known to us by his Roman name “Hercules”) was easily recognizable with his lion-skin cloak and rough wooden club. 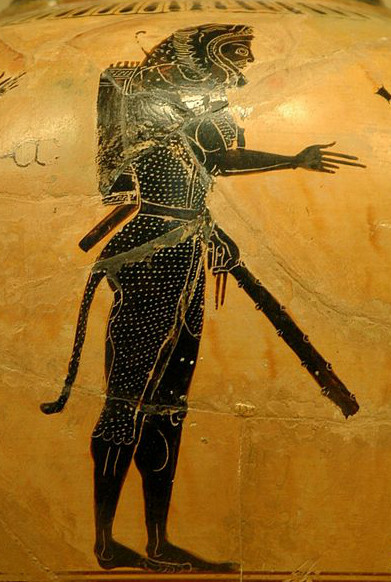 While we don’t know that anyone actually did walk around dressed up like Heracles, a few works of art show that Greeks and Romans certainly imagined doing so. Dionysus: How afraid I made him! Xanthias: Afraid you’ve gone mad, more like! Heracles: Oh, by Demeter, I can’t stop laughing! I’ll bite my tongue, but still I can’t help it! Dionysus: Oh, pull yourself together. I’ve got something to ask you. Heracles: I can’t stifle this laughter, though, at the sight of that lion skin over your saffron gown. Whose idea was this, the club and the high heels at once? 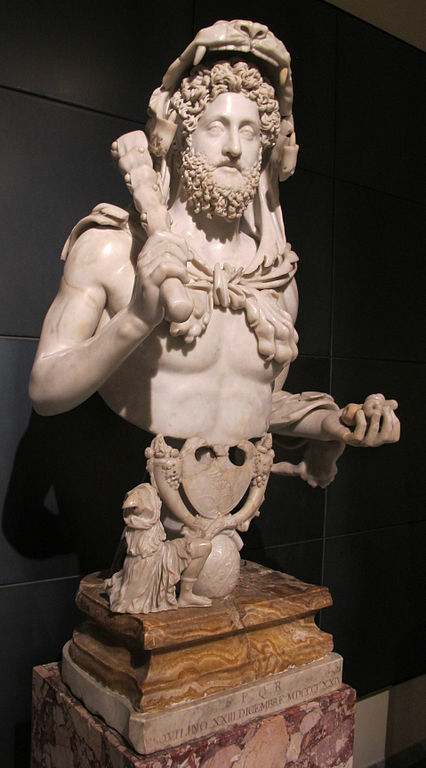 Over in the Roman world, the emperor Commodus decided he was not content with traditional portrait sculptures and had himself portrayed dressed up as Hercules. Here he is wearing the lion skin, carrying the club in one hand and the apples of the Hesperides (from one of the hero’s twelve labors) in the other. For an emperor who was obsessed with his public image, adopting the guise of a popular hero like Hercules made sense. Just like we can recognize our modern heroes by their symbols and distinguishing attributes—an S on the chest and a curl of hair for Superman, a bow and a mockingjay pin for Katniss Everdeen—people of the past knew their heroes in the same way. In Character is an occasional feature looking at some of our favorite characters from written works and media to see what drives them, what makes them work, and what makes us love them so much.